I was thrilled about the opening of our Bosch IoT Campus, and want to share some thoughts about modern workplaces and our journey to smart learning environments. The Bosch IoT Campus has a variety of work areas and an open-plan, light-filled architecture centered around the caravan. It is a model for a new and modern workspace. Associates can choose which environment they want to work in: They can hold meetings in the art gallery, the caravan, or in conventional meeting rooms with screens. If they need extra peace and quiet to concentrate on their work, they can retreat to lounges that resemble a living room more than an office. Somewhere between startup atmosphere and IoT workshop, the aim is to make more room – literally – particularly for creative, touch-based, and social methods of learning and working. 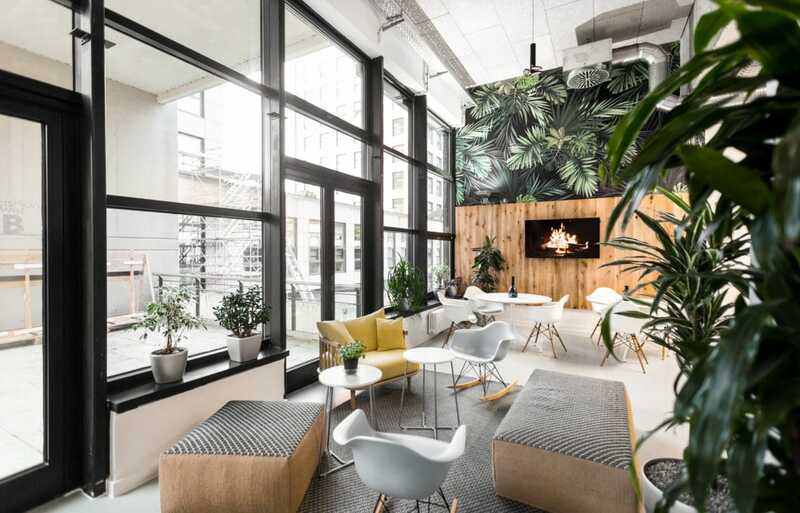 Trends in the maker and co-working scenes, which originated in Silicon Valley, have virtually become standard for modern offices. Terms such as “new work”, “future workplace”, and “Work 4.0” all attempt to describe one and the same construct. Interestingly, this construct seems to some extent to be a counter-trend to digitalization. After all, the architectural design focuses less on virtual collaboration and more on creative-productive interaction between people in spaces designed specifically for this purpose. 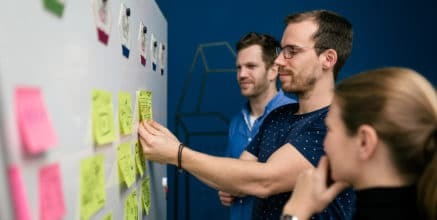 Personal contact with others and in-depth exchanges, combined with new ways of learning and working, such as design thinking, are the expression of a human need. "The architectural design focuses less on virtual collaboration and more on creative-productive interaction between people." We want to feel at ease in our surroundings, and not just at home, but also at our workplace. Companies such as Google recognized this need early on, and so became the pioneers of ultramodern and innovative office spaces. On the one hand, these companies want their employees to feel comfortable and enjoy working. On the other hand, studies show that our work environment directly influences our work performance. 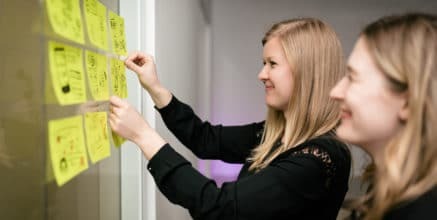 High-tech companies typically have an agile work culture: to be able to develop customer-oriented products and services, they must respond to the market quickly as well as be innovative and productive. But how can the physical environment foster performance and employees’ innovative strength? The global workplace effectiveness standard offers well-founded empirical statements based on a 2010 study carried out in a total of 50 countries at 1,450 workplaces and with 165,000 employees. The study shows that complex constructs such as workplace effectiveness must be considered as an integrated system and cannot be reduced to (easily measurable) external factors. This data was used as the foundation for an effectiveness index comprising a combination of the following four key areas: Employee activities, Physical amenities, Design, Services. For each of these key areas, specific activities were defined, such as handling routine tasks, learning from others, creative thinking, conducting audio or video conferences, etc. In addition, respondents were asked how strongly each of these activities are supported by the workplace. Many studies have shown that our immediate surroundings directly influence our work or learning performance. Using the global workplace effectiveness standard as a basis, I would like to summarize below the key principles affecting efficiency and innovative strength in the workplace. The study shows that complex constructs such as workplace effectiveness must be considered as an integrated system and cannot be reduced to (easily measurable) external factors. Thus, prior to any design work, I would recommend first communicating with employees to identify concrete workplace activities and then, based on those, designing the physical environment, including furnishings and useful services. Actively communicate about the project and include employees in the design process. It is important that everyone involved be able to contribute their ideas and needs. People are very sensitive to external influences in the environment, such as daylight, artificial lighting, shade, heating, cooling, air quality, and acoustics. Provide the optimum conditions. Make sure the combined effect of furnishings, shapes, and colors creates harmony. Combining a variety of work materials or alternating stylistic elements helps create a creative and inspiring atmosphere. Dimmable lighting and generous use of plants make for a pleasant ambiance. Agile and creative activities, in particular, call for more movement, activity, and variety. Accordingly, creative spaces should have multifunctional furnishings to permit various work constellations (group work, presentations, discussions, design-thinking settings, etc.) to be implemented quickly and easily. Work processes change constantly. Support your employees with specific digital and analog tools to help them manage their diverse daily tasks and, at the same time, to help boost the fun factor at work. Sirkka Freigang is a consultant at Bosch Software Innovations, responsible for Smart Learning Environments – a topic which also refers to modern workplace approaches. As Head of Smart Learning Environments she is developing IoT-based learning solutions. I have been interested in the modern workplace for many years now. As an education expert, I am always looking for the best tools to promote workplace-based learning. 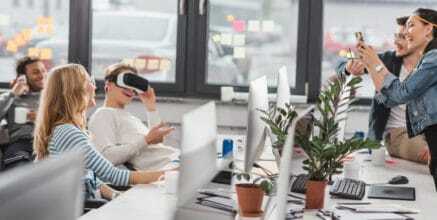 In view of life-long and, increasingly, self-driven development of expertise, it is important to determine the extent to which digital media and the latest technologies, such as bots, VR, and the IoT, can be used in future workplace concepts. The vision of smart learning environments is to promote life-long learning in the workplace through an “invisible environmental intelligence” that ensures that we receive the right information in the right place and at the right time. Smart learning environments build on the concept of the modern workplace and combine various findings from education, IT, and architecture. Mark Weiser, a founder of the IoT, formulated a vision of a future workplace as far back as 1991. He described the concept of ubiquitous computing as an invisible technology that pervades our workplace and that can recognize both the needs of employees and the context of the situation and, based on those, provide needs-based services. Do you want to have more details on smart learning environments and the Bosch IoT Campus? The Bosch IoT Campus offers an ideal environment for studying the practical aspects of the vision of smart learning environments, and especially for identifying valuable use cases and services that are suitable for assisting employees with their own development of expertise. Curious to learn more about smart learning environments and digital transformation? How can companies benefit from smart learning environments? Sirkka Freigang's white paper including her framework helps companies to develop smart learning environments. Are you interested in implementing smart learning and working environments? Let us show you how to develop IoT-based solutions. We are on the journey from modern workplace to smart learning environments. But what exactly are smart learning environments? We asked Sirkka Freigang: What are smart learning environments? If the Internet of Things is to be used in learning processes and smart learning environments, there are six main areas to take into account. The Internet of Things and digital transformation will change industries, business models, and value chains. How should large organizations adapt to a changing world? Digital transformation affects employees. 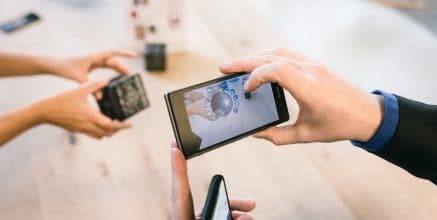 What people skills do they need to develop to keep pace with the demands of an increasingly digitalized and connected world? IoT education: How to engage more students in the IoT? Informative post. The way you explained steps for modern workplace especially “#2: Set up various working environments”, it easy to understand. Thanks for sharing with us. Thanks for the tips….specially for number 01 – very important to success to smart learning environments. 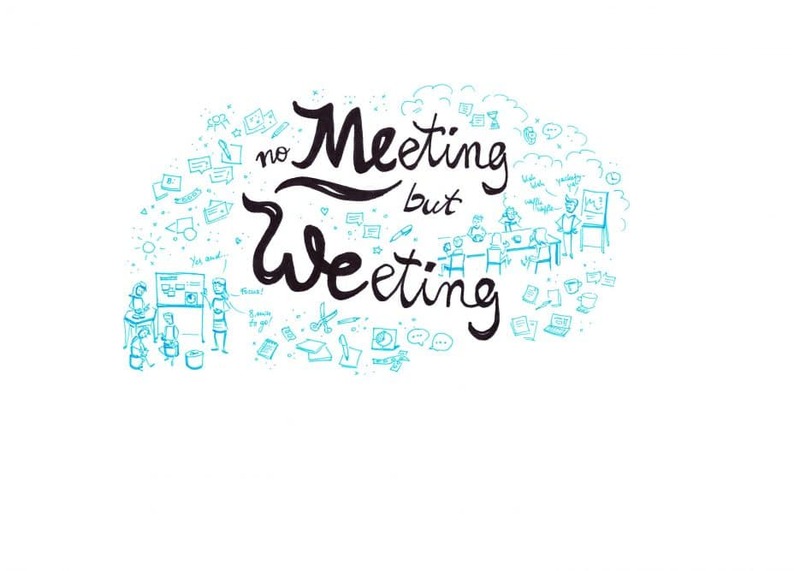 Make the most out of your meetings! Get to know Lightning Decision Jams - a design thinking-driven way to host decision meetings.